Clementien Pauws at Karuna Society. 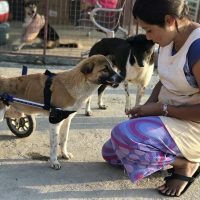 Help Animals India is a United States based, non-profit 501(c)(3) charity organization dedicated to supporting efficient and effective animal protection organizations in India and Nepal. We strive to put our donor's generous contributions to work where they are needed the most. Help Animals India develops close relationships with India's animal welfare NGOs (non-government organizations). 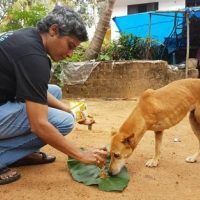 This ensures that all donations made to save India's animals are transparent and do the most good. In short, we provide donors confidence that their donations are put to the best use.